"My daughter has made little or no progress after years of special education. Her IEPs contain vague subjective goals and objectives. If our case goes to due process, is the school liable for not providing an appropriate education? Or, is this the responsibility of the parent who signed the IEP?" Several factors are operating when an IEP team refuses a parent's requests for a more intensive special education program. Although school personnel view themselves as the experts on educating all children, administrators do not want to reimburse parents for services from a provider in the private sector (i.e., a trained ABA therapist or academic tutor). So the IEP team denies your request - and may blame you for having unrealistically high expectations for your child. Some IEP teams do approve parental requests for more intensive programs. In this article, you will learn about the "free, appropriate public education " (FAPE) your child is entitled to under the Individuals with Disabilities Education Act. You will learn who is responsible for providing a free, appropriate public education and how it is delivered. Finally, you will learn strategies you can use if you have a disagreement with your child's IEP team. The Individuals with Disabilities Education Act (IDEA) is the law that provides your child with the right to a free, appropriate public education. The purpose of the IDEA is "to ensure that all children with disabilities have available to them a free appropriate public education that emphasizes special education and related services designed to meet their unique needs and prepare them for further education, employment, and independent living..." 20 U.S.C. 1400(d) (Wrightslaw: Special Education Law, 2nd Edition, page 20). Purpose is the mission statement of IDEA. When you develop, review, or revise your child's Individualized Education Program (IEP), re-read the Purpose of IDEA. Is the IEP designed to meet your child's unique needs? Will the goals in the IEP prepare your child "for further education, employment and independent living?" The answers to these questions will help you determine if the IEP is appropriate and provides your child with a free, appropriate public education. Courts have held that to receive a free appropriate public education, the child must receive meaningful educational benefit. Courts have also held that while children with disabilities are entitled to a free appropriate education, they are not entitled to the "best" education, nor to an education that "maximizes" the child's potential. Strike these terms from your vocabulary. How will you know if your child is receiving "meaningful educational benefit"? You use objective information from tests that measure your child's knowledge and skills. This is why it is essential for parents to learn about tests, what tests measure and don't measure, the bell curve, and what test scores mean. You say your child's IEP goals are vague and subjective. Sadly, this is not unusual. In special education litigation, schools attempt to defend poor IEPs by claiming that the parent "fully participated" in the IEP process and agreed to the vague goals and objectives. Although some courts still cite the Rowley decision, the legal landscape is changing. The No Child Left Behind Act of 2001 requires states to adopt high academic standards for all children. The law also requires schools to test all children to determine if they are mastering these standards. When Congress reauthorized the Individuals with Disabilities Education Act in 2004, the focus shifted from access to the schoolhouse and compliance with procedures to improved outcomes for children who receive special education services. In Endrew F. v Douglas County (March 22, 2017), Chief Justice Roberts explains that SCOTUS is not reversing the old Rowley standard, but - if a child is not fully integrated in the regular classroom, the focus on FAPE shifts even more to the “unique circumstances of the child." Read the analysis. Who is Responsible for Providing Free Appropriate Education (FAPE)? To answer the question you asked at the beginning of this article, the school is responsible for providing your child with a free appropriate education (FAPE). Your child's Individualized Education Program (IEP) is the roadmap that describes how the school will provide your child with a FAPE. If the IEP Team develops an IEP that includes vague goals that cannot be measured objectively, or the IEP team tells you to "take it or leave it," you must put your concerns in writing. These strategies will help. You are a member of your child's IEP team and a participant in the IEP development process. The law requires you to make your wishes, concerns and objections clear. You can use the IEP to make your objections clear. If the IEP team presents you with an IEP that you believe is not appropriate, you should share your concerns. 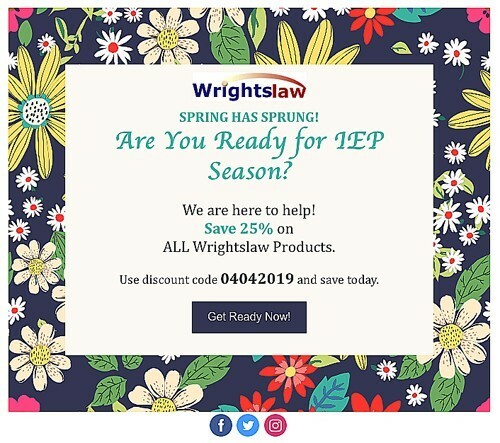 You may say that the IEP does not provide your child with enought help or the right kind of help, or that your child is not making sufficient progress. Be polite but firm. Tip: Think about how Miss Manners would handle a difficult situation and use this to guide you. If the IEP team asks you to sign consent to the IEP, despite your disagreement, pick up your ballpoint pen and write this statement on the IEP: "I consent to this IEP being implemented but I object to it for the reasons I stated during the meeting." Now the school has a problem. You told them that you do not think the program is appropriate for your child. You advised them of this in writing on the IEP. You consented to the program, but you made it clear that you don't think the IEP is appropriate. Do not be surprised if someone gets angry and says you are not allowed to write on your child's IEP - that it is a legal document. This is not true. IEPs are subject to change. Nothing prohibits any member of the IEP team from writing on the IEP document. If someone does try to stop you, continue to write. If someone tries to pull the IEP out of your hand, continue to write, while pressing down hard with your ballpoint pen. If someone pulls the IEP away, continue to write, pressing firmly, as the IEP tears. Stay calm. Pick up your copy of the IEP (whatever is left). Stand up and say, "Thank you, I think this meeting is over." Extend your hand to shake theirs. PIck up your recorder and leave. This actually happened in one of my cases. When the parent began to write on the IEP, the special education director yelled "Stop! The IEP is a legal document. You are not allowed to write on it." He yanked the IEP out from under her pen as she was writing. The IEP tore in half. Subsequently, the parent requested a due process hearing. When the school board attorney and superintendent reviewed the file and ripped IEP, the case settled quickly. If you anticipate problems with the IEP team, you should tape record the meeting. Make sure your recorder is out in the open. For specific advice about how to tape record meetings, read Chapter 26 about "Maintaining Control in School Meetings" in Wrightslaw: From Emotions to Advocacy. The school has a problem. You have told them you do not think the program is appropriate for your child. You advised them of this in writing on the IEP. You consented to the program, although you made it clear that it is not appropriate. When you get home from the IEP meeting, you must write a polite "thank you" letter. Describe what happened during the meeting, document your concerns, what you requested, and how your input and requests were received. Perhaps you consented to IEP being implemented because "something is better than nothing". Perhaps you decided that the school's inadequate program was better than no program at all. In your letter, you need to clarify that you believe the IEP is not appropriate for your child. Advised the IEP team that you consented to the school implementing the IEP and that you assume the school will implement it. Request another IEP meeting to resolve the outstanding issues. If you take these steps, the school will want to avoid a due process hearing. * assume you cannot testify. If you cannot testify on your own behalf, how can you make your case? What evidence do you have? The best evidence is contemporaneous evidence - written evidence created at the time of an event. You evidence is the tape and transcript of the IEP meeting, the IEP, and letters from you that describe your concerns and requests. Learning and using tactics and strategies helps to resolve disputes before they get out of hand. 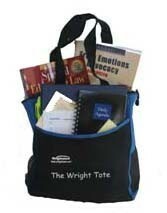 hAs a parent, you must eliminate the word "best" from your vocabulary when you discuss your child's educational needs. Remember: Your child is entitled to an appropriate education. not to the best education, nor to an education that will maximize your child's potential. 2. Parent testimony carries little weight in the eyes of hearing officers and judges. Loving parents are biased. Parents want the best education for their children with disabilities. Testimony from parents about what their child needs is not persuasive and rarely carries the day. 3. School staff will testify that their program is appropriate about 99% of the time. 4. Parents must have experts who know the child and who are willing to educate the IEP team about the child's unique needs and what an appropriate program must include to meet these needs. If you have a dispute with the school, you need to have experts in the private sector who have evaluated and observed your child. Experts must never use the terms "best" or "maximizing potential" in their reports or testimony. Your experts should be able to describe the child's strengths, weaknesses and needs. They should describe the educational program that will meet the child's needs, why the public school program is not appropriate, if the child will be damaged if he does not receive an appropriate education, and the nature of the damage.